Barbara-Jan Wilson has worked under four presidents, taken on three positions, overseen two major fundraising campaigns, and given the Wesleyan community one gift it can never repay: her time. Wilson, who is to retire in December, first started working at the University 36 years ago. The Argus spoke with her about her current position as Vice President of University Relations, her fondest memories of Wesleyan, and her proudest achievements. “Retiring is exhausting business—you have to keep talking about yourself,” Wilson joked in an interview with The Argus. Although Wilson noted that there have been remarkable improvements to the University’s campus during her time here, such as the construction of the Usdan University Center, Bennet Hall, and Fauver Apartments and the major renovations to Clark Hall and the Allbritton Center, one part of Wesleyan hasn’t changed at all. “The community is much the same: passionate, critical, engaged,” Wilson wrote in an email to The Argus. When Wilson first came to the University to work in career planning, the department was underdeveloped, and its first director was leaving to take a job at another institution because he believed that the University wasn’t truly committed to establishing the program. In 1982, President Emeritus Colin Campbell hired Wilson. She worked to build Wesleyan’s career services from the ground up. She then worked as the Dean of Admissions from 1990 to 1998. 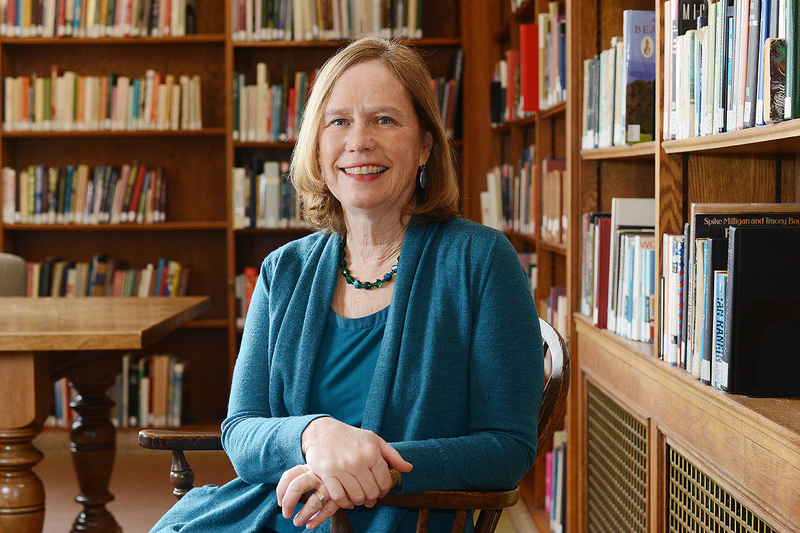 Wilson fondly looked back on her involvement in “The Gatekeepers,” a 2002 nonfiction book by Jacques Steinberg that delves into the Wesleyan admissions process, and noted the significant improvements made to the accommodations for the Admissions Office. Since 1999, she has taken on the job of Vice President of University Relations. Within her role, Wilson has worked to establish and maintain relationships with alumni, promote fundraising, and coordinate Wesleyan events. Wilson oversaw two major fundraising campaigns: the Wesleyan Campaign, which ended in 2004, and THIS IS WHY, which ended in 2016 and raised $482 million. Wilson reminisced about her fondest memories during her tenure at the University. There are also certainly some stand-out moments that she points to as undeniable highlights of her work at the University. It’s clear that, after 36 years, the University will be losing a long-time member of its community who has contributed to the very building blocks that students today take for granted. This reads like propaganda out of a school press release, not a news story from an “independent” publication. Jesus Christ. You’re journalists, not Wesleyan PR employees. Do better.